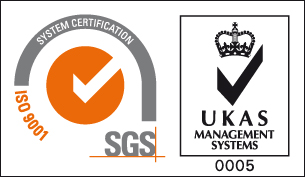 The Logitrans EHS-RF-SEMI stainless steel stacker has been developed for environments where severe hygiene is needed on the surfaces that are in direct contact with the goods being handled eg. meat, fish or medicine. The Logitrans EHS range have non-adjustable wrap over forks with electric lift and manual propulsion. Straddle leg versions are also available which would be model EHSS-RF-SEMI. An adjustable carriage can be specified to which a range of attachments can be fitted including drum handlers, drum rotators, reel booms, lifting jibs, platforms and any customers specified bespoke attachment. 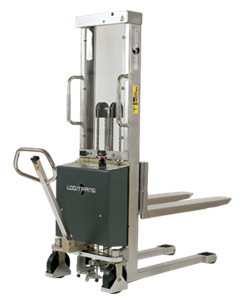 Optimum utilisation of the space – Logiflex has a compact construction and is very manoeuvrable, with a range of lift heights up to 2450mm and variations of manual and power lift and drive units, the Logitrans Electric Stainless Steel Stacker can offer many solutions to your lifting problems.